The three labourers, who were kidnapped by a group of suspected tribal militants in Manipur on March 6, have been released by their captors, police said on Monday. According to media reports, the kidnapped labourers have been identified as S. Bijoy, K. Gopen and K. Tenba. All the labourers hail from the Thoubal district, reports Outlook India. The labourers were kidnapped by the suspected militants from the Senapati district. The incident of kidnapping took place when the labourers were reportedly participating in the repair work on the National Highway 2. 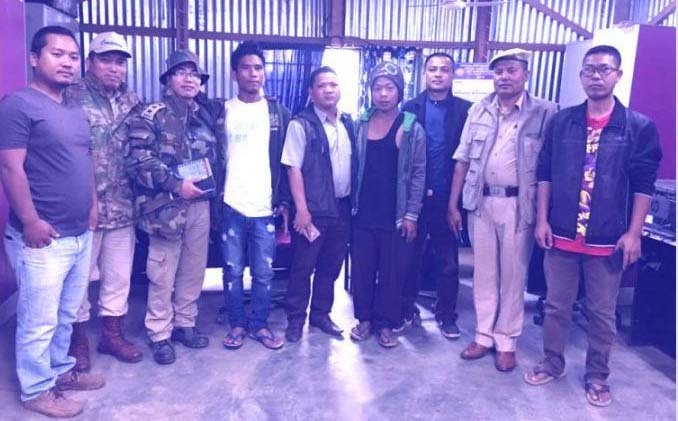 As per the report, members of the Naga People’s Organisation (NPO) in the Senapati district of Manipur found the labourers wandering in the mountain after they were released by their captors at Sunday midnight. The Naga People’s Organisation provided the labourers food and shelter before all of them left for the state capital, Imphal on Monday morning. In the past, police claimed that militants used to kidnap labourers engaged in the state when there had been inordinate delays in payment of ‘protection’ money. However, it has been reported that no complaint has been lodged by the officials of M/s BIPL, which undertook the construction and repair work in the National Highway that goes through Manipur.